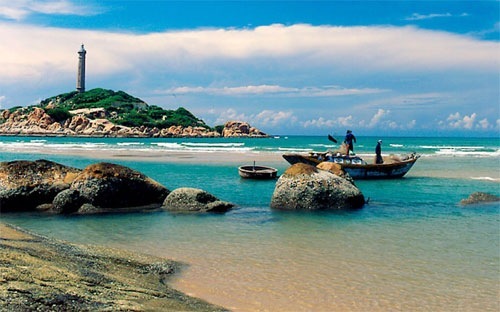 HCM CITY (VNS) — Nearly 500 Vietnamese, Lao and Cambodian government officials, business executives and tourism experts will take part in an international workshop in Phan Thiet city this week. Participants will analyse and evaluate the possibility and potential of linking tourism products offered along Viet Nam's central coastal, south-eastern, and Central Highlands regions with those in the southern Laos and north-western Cambodia. The workshop on September 11-12 will also seek initiatives, opinions and measures for promoting such linkages. It will serve as a forum for business exchanges and networking for local and foreign organisations, investors, tourism companies, officials in tourism ministries and other agencies, and city and provincial leaders. An exhibition titled "Three countries-One destination" featuring documentary films, photos and printed publications will be held at the Sealinks Beach Hotel on September 11. After the workshop, an investment promotion conference will be held to attract investors to Binh Thuan Province, home to Phan Thiet.